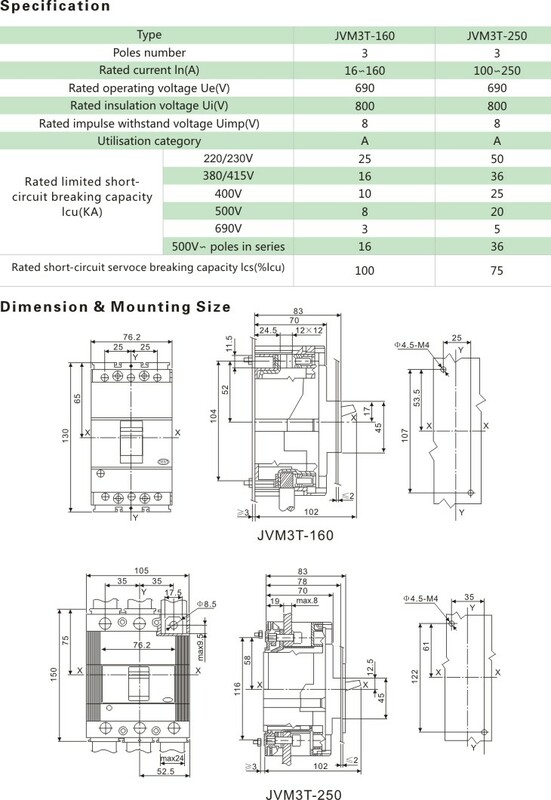 JVM3T(TMAX) Series Moulded Case Circuit Breaker-molded case circuit breaker-Circuit breaker|Yueqing Junwei Electric Co.,Ltd. JVM3T series MCCB is applicable circuit of AC 50Hz, rated insulation voltage 660V, rated operating current 15-225A,for distribute energy of electricity and infrequent making & breakingcircuit in normal conditions. The products confkrms to IEC 60947-2 standard. Prev：JVM1LE(CM1LE) Moulded Case Circuit Breaker Next：No!